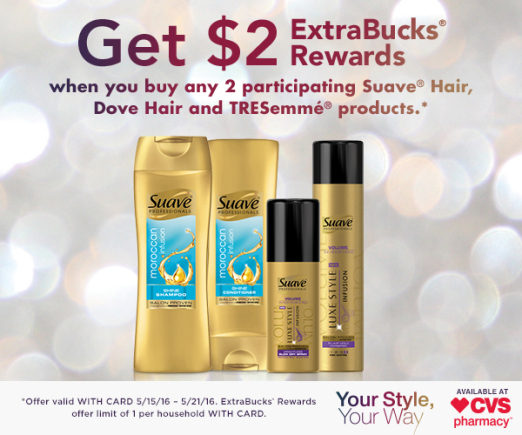 This week at CVS you can earn $2 ExtraBucks Rewards when you buy any 2 participating Suave Hair, Dove Hair and TRESemme products. Ends 5/21. Limit 1 per card. *If you don't have the RedPlum coupon, you can print 2 $1.00/1 here. That would make them $0.50 each when you buy 2 after coupon and rebate.